By combining over 30 years of orthodontic experience with the best technology available, we provide our patients the highest level of quality results for both adults and children. From iTero digital study models and digital Invisalign scans to digital x-rays and soft tissue laser, we will have the quickest, safest, and most accurate equipment for your care. 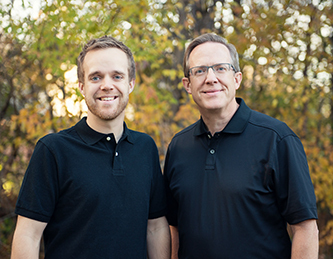 As a father and son team, Dr. Bob Schoettger and Dr. Jared Schoettger have a great relationship and understand the importance of family. The AAO recommends children be seen by age seven to intercept problem conditions. 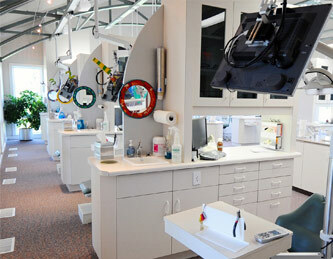 We offer quick and easy treatment for adults as well, as adult treatment is becoming commonplace. Because we can make your retainers and appliances on site, you have quicker turn around times and the doctors have greater control over the movements of your teeth. We have a state of the art facility with ergonomic chairs, televisions at every station, a coffee bar, free wi-fi access, and commitment to providing gentle care. Dr. Bob Schoettger and Dr. Jared Schoettger are expert Invisalign and braces orthodontists in Lincoln, NE, and Seward, NE. We are passionate about bringing VIP Platinum level Invisalign and braces results for both adults and children, along with outstanding caring treatment and industry-leading iTero scanning and all-digital technology to our Lincoln, NE, and Seward, NE, communities! Our team makes sure all your questions are answered and that you are taken care of from the moment you step in our door. 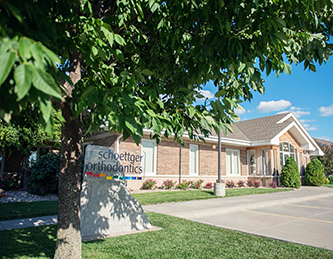 We always welcome new patients, and we promise you will notice the Schoettger team difference right away. Your first visit is completely complimentary, and we would love to meet you!